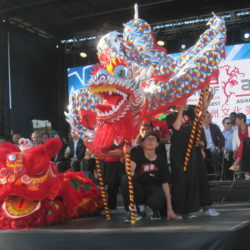 Senator Ngo was invited to the annual Taste of Asia event in Markham as a prominent speaker and guest. This event is significant as it represents the multicultural mosaic of Canada and provides a platform to further promote harmony between various cultural groups. For more pictures, please check here. Senator Ngo and this year’s interns met with the new Leader of the Official Opposition, Andrew Scheer to discuss his new role, thoughts on keeping the Government accountable, interests for the Conservative party, as well his views in promoting human rights in China and Vietnam. 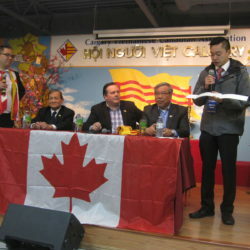 Senator Ngo was invited to Calgary as the keynote speaker at a town hall meeting hosted by the Vietnamese community where he discussed concerns and issues including Bill S226, and C6. He also met with various community members throughout the weekend. For more pictures, please click here. Senator Ngo along with fellow Parliamentarians MP Bruce Stanton and Larry Bagnell, met with H.E. 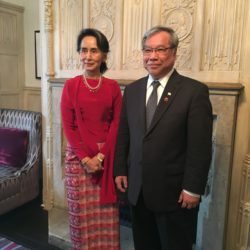 Daw Aung San Suu Kyi as members of the Canada-Myanmar Friendship group. During the meeting, the group discussed the delegation’s trip to study Canadian federalism and the ongoing humanitarian issue of Rohingya refugees in Myanmar. The group namely raised their concerns regarding the protection of the human rights of religious minorities, including the Rohingya.